Frugality in the U.S.: Foraging for Mushrooms: Ginger, please forgive me I have fungus to enjoy. Foraging for Mushrooms: Ginger, please forgive me I have fungus to enjoy. During our walk yesterday we saw these lovelies. Broad leaved woodland, especially beech. It is difficult to confuse this mushroom with any other Russula or fungi in the British Isles. We came home and did some research and found this online. 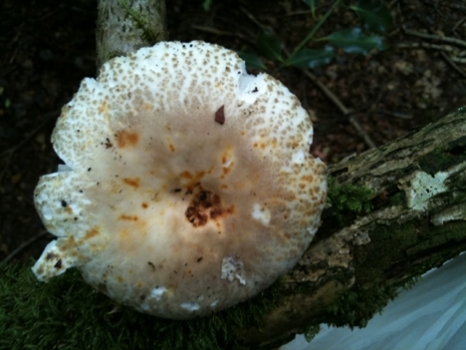 I then identified the trees amongst which the mushrooms were growing as, in fact, being beech.